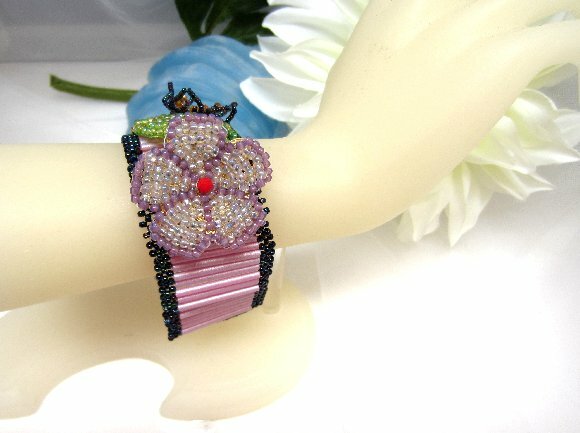 Rare Italian seed beads glow in this lovely floral beadwork bracelet. I've used them to make the stems, leaves and the large lavender flower that dominate the bracelet. 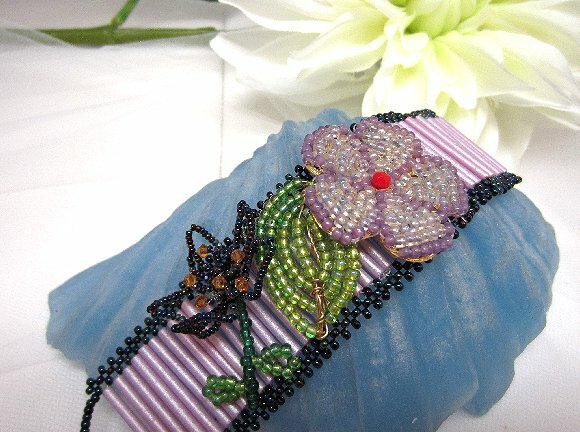 The smaller blossom is made with tiny Japanese seed beads and Swarovski crystals. The body of the beadwork bracelet is made with matte lavender Czech bugle beads. Counting the picot trim, the beadwork bracelet measures 1-3/8" wide. It's 8" long, and closes with a dainty vintage pearl clasp. 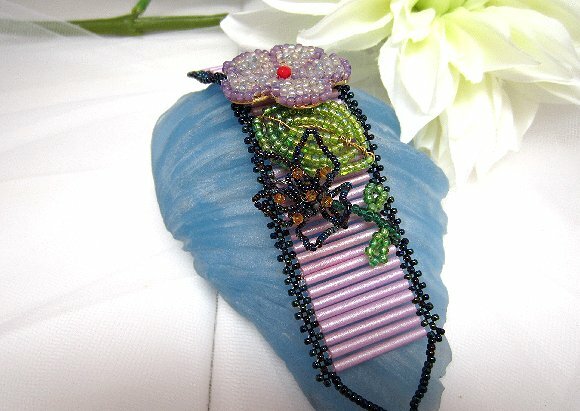 Pretty as a picture, it's another fabulous beadwork bracelet from Sparkle Plenty.